The Café Racer and custom scene has come to represent so much more than just tinkering with bikes and appreciating vintage machinery, as an entire culture – which incorporates fashion, photography and even music – has started to surface. It seems you can’t set foot in London’s ultra-trendy Bike Shed without a strict wardrobe critique from the residents and the helmet swinging from your hand is a target area for disapproval. 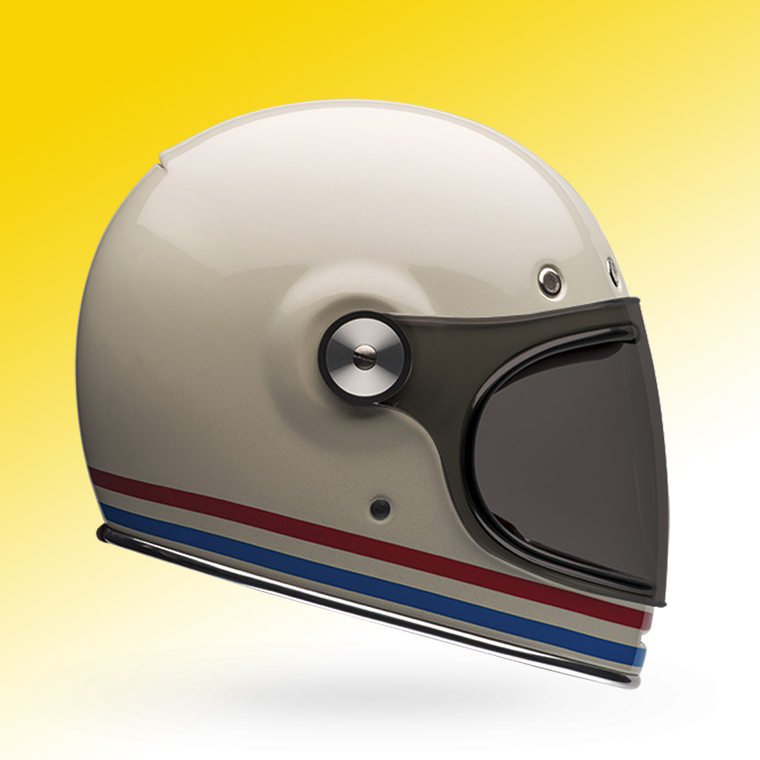 That’s why the Bell Bullitt is one of the most sought after, retro-inspired lids on the market, brilliantly fusing modern safety credentials with throwback styling and neat finishing touches. Fashioned from a tough fibreglass shell as standard (or offered in carbon for the more affluent among you) it is fully ECE approved without ever putting safety over style. We love the tan leather interior, the leather magnetic tab that holds the visor in place and the large screws that can easily be removed to swap out said protective screen. Granted, it’s not the quietest helmet on the market and the large bubble visors are certainly an acquired taste but the Bullitt is available in a plethora of cool colourways, unique finishes and with multiple visor options. It’s pretty much guaranteed to finish off that vintage racer look, whatever you ride.